iOS 11 is currently a work in progress and rests in the beta phase. Most probably, it will be released alongside Apple’s big announcement of its upcoming high-end flagship, the iPhone 8. Moreover, iOS 10 has been with us for almost a year and there’s no doubt, the upgrade was worth it, considering the amount of forward-facing features added to the table. Now, as per the dedicated distribution section on Apple’s support page, iOS 10 is now running on 87 percent of all iOS devices. So let’s dive in to see some more details on the firmware’s adoption rate. Soon after an iOS upgrade is released, we see a huge chunk of the total number embarking on the latest firmware. We will experience the same with the release of iOS 11 as well. At this point in time, while iOS 10 is installed on 87 percent of all active iOS devices. 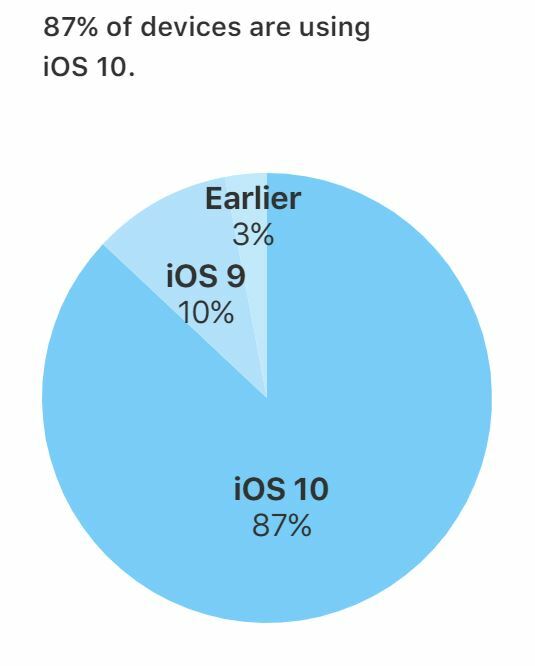 Around 9 percent of the users are still running iOS 9. In addition to this, more or less 3 percent of the devices are also running an even earlier firmware version. 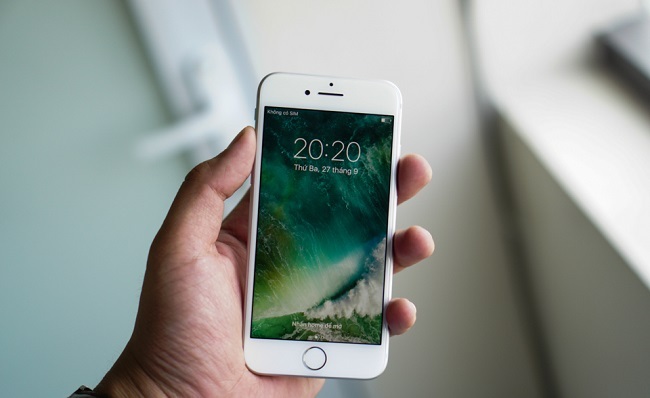 There are various reason why individuals would opt to remain on their host iOS firmware rather than upgrading to the latest one. First and foremost, individuals enjoy jailbreaking their devices, if it is available for their host iOS firmware. They would neglect upgrading to the latest build in an attempt to keep the status. This is because upgrading would basically patch up the exploit or vulnerability that allowed them to jailbreak to begin with. Furthermore, some active iOS devices are resting on the older firmware because they do not support the latest build. My iPad mini 2, for instance, is running iOS 9. This is the max that it went and then it did not receive an iOS 10 update. There are various other reasons why an individuals would choose to remain on the older build. In contrast to iOS, Android lacks a lot behind when we speak of devices upgrading to the latest build available. The latest and greatest Android Nougat is running on only 11.5 percent of the devices. Around 31.8 percent of devices are running Android Marshmallow. Moreover, there is a huge number of devices running an even older version of Android. iOS 11 will feature a bevy of new additions in terms of visuals as well as under the hood improvements. So do stay tuned as we announce its arrival and portray you an honest insight on the firmware. This is all for now, folks. What are your thoughts on iOS 10’s adoption rate merely a month before iOS 11’s release? Share your views in the comments.